So overall less than last year’s totals, but I’m still calling it a success. Books veered more toward the unreal this year–three were some kind of fantasy (Linger, Daughter of Smoke and Bone, and September Girls) and one was sci-fi (Adaptation). A Crooked Kind of Perfect was the only realistic book I read. The last few books I’d read were realistic, so this was a nice change of pace. And three (Linger, Daughter of Smoke and Bone, and Adaptation) are part of a trilogy, so I have even more of those characters and worlds to look forward to. I think a weekend of reading was just what I needed. Things have been kind of hectic and stressful lately, so it was nice to take some time to focus on something I really love and something that (unfortunately) can easily get put on the back burner. Thanks to Mother Reader for hosting such a great event and to Hannah for inspiring me to join this year’s challenge! Finished one more book for the challenge. 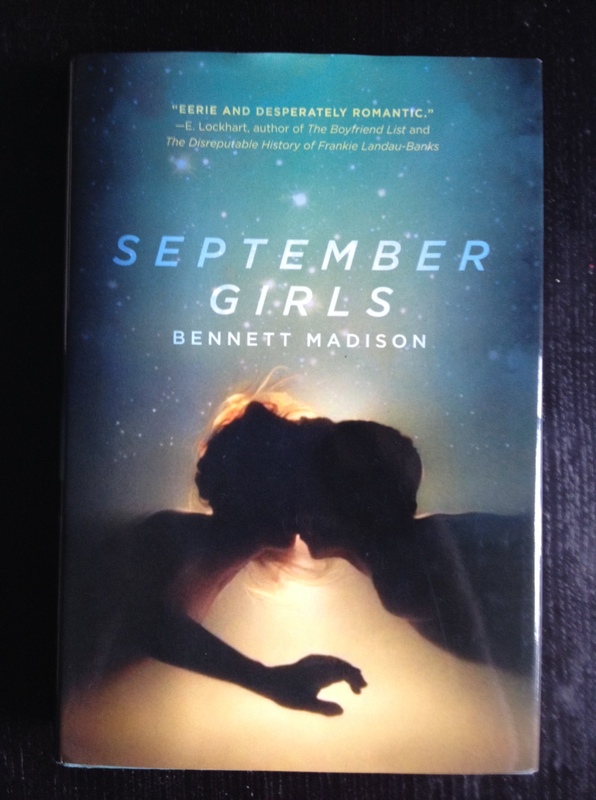 I’d started September Girls by Bennett Madison a little while ago and figured that, since I didn’t have a lot of time left in the challenge, I might as well use my time to finish it up. It feels like Madison took Catcher in the Rye, “America’s Next Top Model,” and Hans Christian Andersen’s The Little Mermaid, put them in a blender, and the result was September Girls. And that’s a pretty interesting smoothie right there. At time I really dug the voice and sense of sadness and desperation. At other points it kind of dragged, and I never really connected with Sam. But I think this is less of it not being a good book than it is it not being the book for me. I had writing group this morning, so reading started a little later, but it was filled with feels. 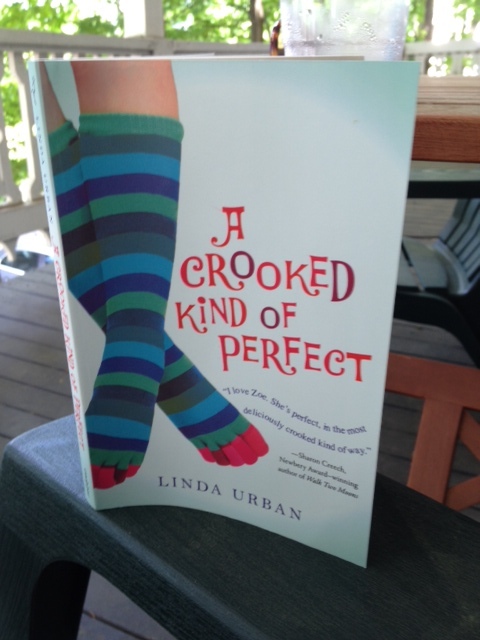 Review #2: A Crooked Kind of Perfect by Linda Urban has been on my shelves for a while, and holy cow why didn’t I read this little gem sooner? It’s full of humor and heart and makes me remember that time of life when things are changing on you and it’s hard to keep up and you’re just starting to navigate the world on your own. Zoe is hilarious and so relatable; her parents are so real and sad and loving; and Wheeler is a surprise delight. It builds beautifully and is so fair to all of its characters, while still touching on real sadness. A charming middle grade book. Welcome, Ladies and Gentlemen, to the 48 Hour Book Challenge! Because I don’t tend to plan stuff and life’s been busy lately, I forgot about the 48 Hour Book Challenge until I saw Hannah’s post about it this morning. It got me thinking about what a great reading weekend it was last year and how I haven’t devoted that length of time to reading in a while. 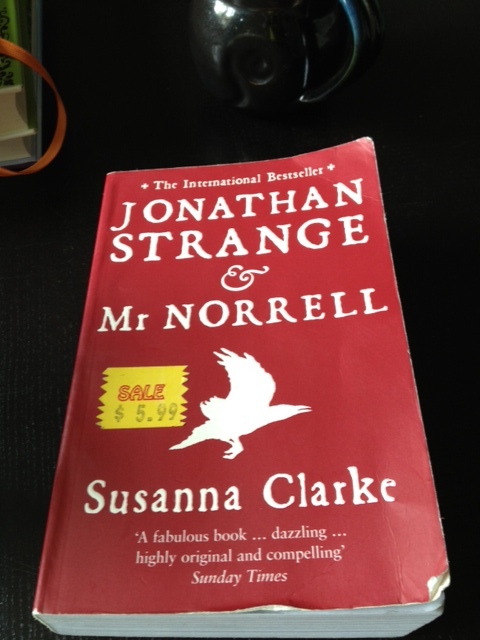 So I decided to jump in with the 2014 48 Hour Book Challenge. 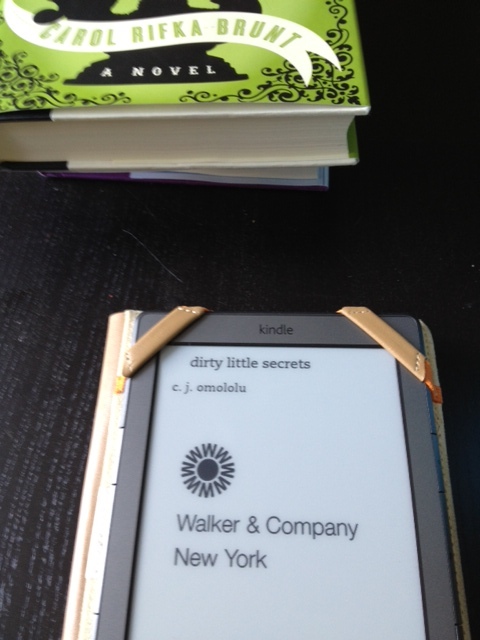 Here we go, readers! 2 hours of reading time. 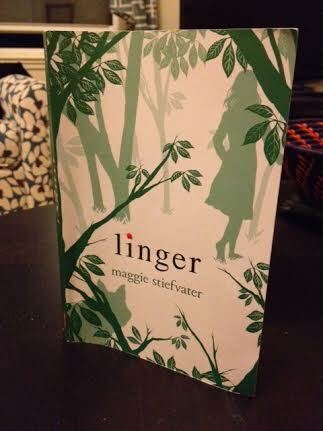 Review #1: I read Shiver for last year’s 48 Hour Book Challenge, so it seemed like a good choice to start this year’s challenge with the sequel, Linger. It was great to get to return to Mercy Falls and characters like Sam and Grace. Although I think Linger meandered a bit more than Shiver, it kept me intrigued both character-wise and plot-wise. I especially liked getting to see the POVs of Isabel and Cole. I also dug Cole’s theories about what exactly was going on medically with the wolf-shifts. Even though I would have accepted “so there are werewolves,” I like that Stiefvater is concerned about the logic of the world in which her characters exist. Also lots of great swoony bits. Looking forward to finishing up the trilogy–hopefully earlier than next year’s challenge! I don’t think I had a bad book in the batch. 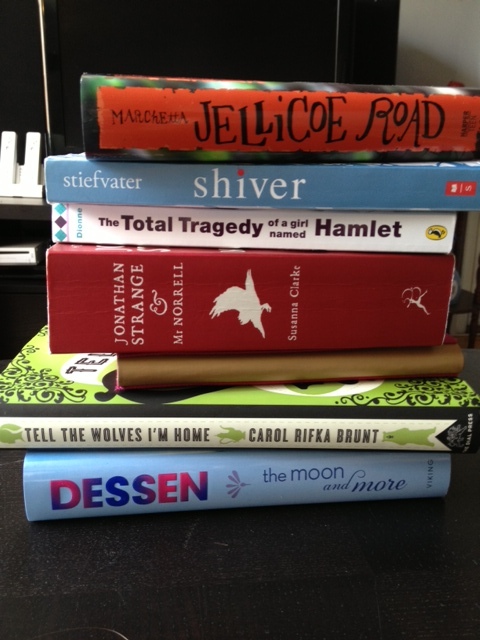 I felt like I had a nice mix of contemporary realism (The Moon and More, The Total Tragedy of a Girl Named Hamlet, Dirty Little Secrets, and Jellicoe Road), fantasy (Jonathan Strange & Mr. Norrell and Shiver), and adult crossover (Tell the Wolves I’m Home). I’d definitely recommend any of the above. It also felt really good to finally cross a lot of those off my list–they’d been hanging out on my nightstand for far too long. For me, this was a great reminder that sometimes you need to put away the phone, close the laptop, and shut off the TV. It’s easy to get sucked into “just one more Tweet,” but that ultimately means missing out on lots of good reading time. I’m going to try to be more mindful of this moving forward, because I loved reading all weekend. It reminded me of being a kid again and holing up in my room with a pile of library books. (You know, in the olden days when we used to have to call people to find out what they were having for lunch or when we couldn’t stream our favorite shows directly to our computers.) Any tweets or blog posts you miss will be waiting for you once you’re done with that chapter. *If you didn’t see yesterday, the extra credit was from not having finished Jellicoe Road in the allotted 48-hour period but not being able to stop reading because of all the feelings. 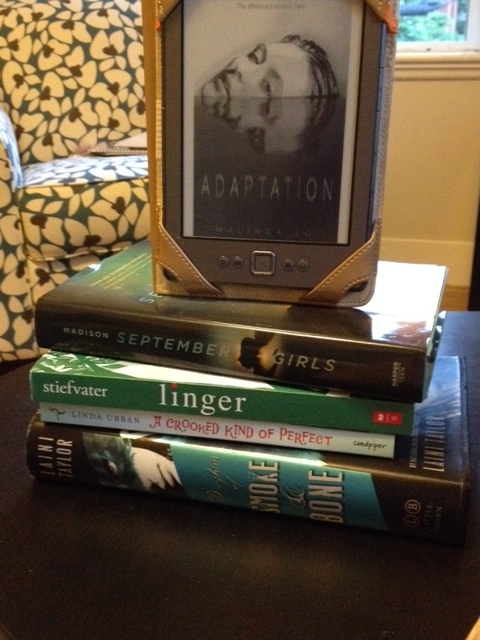 I managed to fit (most of) one final book in during the 48 Hour Book Challenge. I got to 8pm (exactly 48 hours in) and was still about a hundred and fifty pages away from the end of my final book and couldn’t stop (SO GOOD) so I’m throwing a little in as extra credit. Onto the stats! Review #7: Oh my gosh, guys. 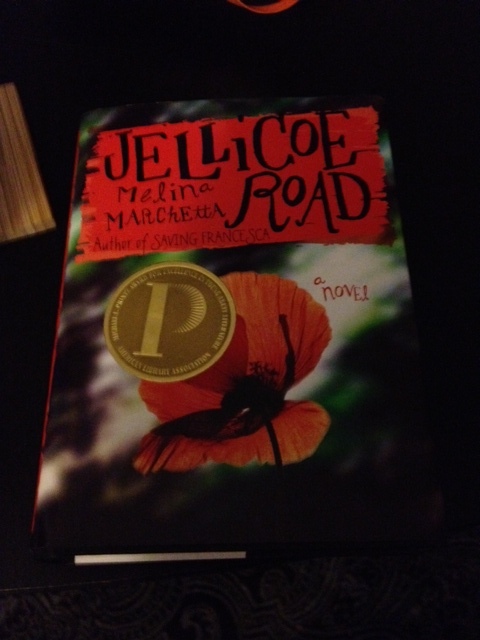 Jellicoe Road. This one has been on my shelves for a while and why didn’t I read this sooner? Seriously, it gave me all the feels. The writing is gorgeous, the characters are compelling, and everything weaves together beautifully. There were so many small moments and images that made me tear up–Fitz climbing the tree over and over again, Narnie explaining why she couldn’t move in the car, learning how Taylor chose her name. 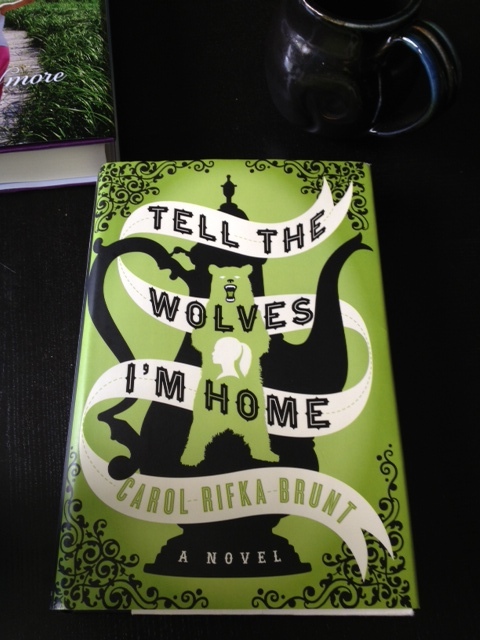 It’s a beautiful book and one that I want to immediately go back and reread. It’s full of sadness and hope and love, and I think this was the perfect book to end the #48HBC on. It’s getting late so I’ll do a real summary of the challenge tomorrow. In the meantime, I’m going to sit here and feel and the feelings. Review #6: I loved Maggie Stiefvater’s The Scorpio Races and The Raven Boys so I was excited to finally dive into Shiver. When it first came out, I avoided it, thinking it was just another paranormal romance trying to bank on the success of Twilight. Wow, I could not have been more wrong. Sure, the paranormal romance aspect is there, but Stiefvater’s writing is stellar. She’s deeply concerned with character and, as a result, Grace and Sam feel like real people, not romantic ciphers. (And honestly, even the romance is some of the best I’ve seen.) The plot is exciting and never feels like Stiefvater is just throwing in complications for the sake of it. 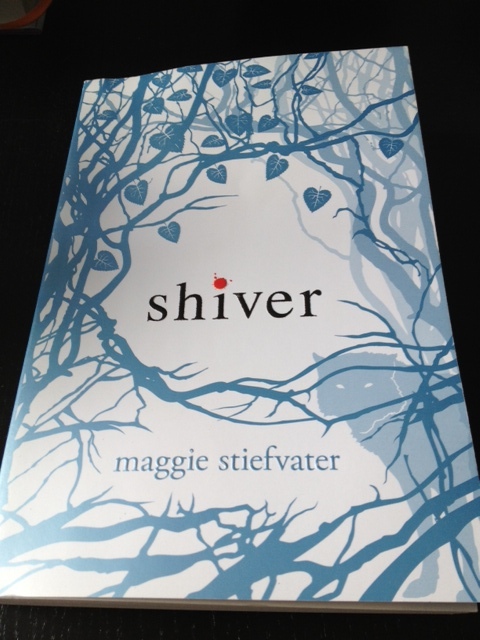 A friend described Shiver as a kind of fairy tale, and it definitely has that vibe in the best way possible. I can’t wait to read the sequels! All the books I’d previously started before #48HBC are now finished. Take that, reading pile! 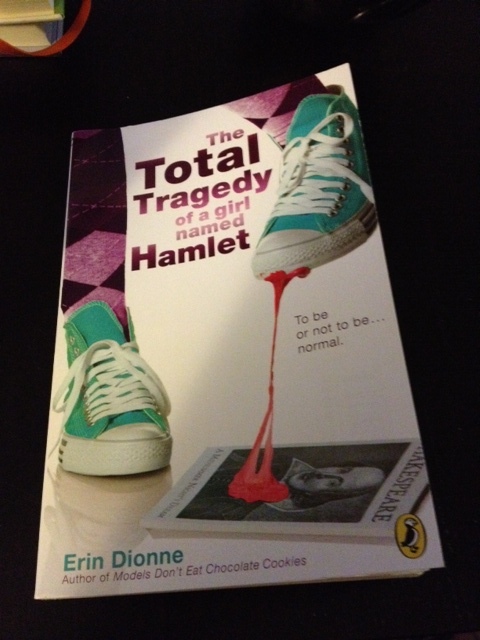 Review #5: I was about 40 pages into The Total Tragedy of a Girl Named Hamlet when I picked it up for #48HBC and it was a great addition to the pile. It’s got a lot of humor and heart (the image of Dezzie wearing a “Though she be but little, she is fierce,” shirt made me cheer), but never forgets the anxiety of fitting in in middle school. I also like that Hamlet has a lot of very real reasons to feel awkward and embarrassed–from her Ren Faire-costumed, iambic pentameter-speaking parents to her super-genius sister to worrying that her friend is crushing on her, Hamlet has a lot to be concerned about (especially when all she wants to do is fit in). I don’t read a ton of middle grade novels, but this is one I wish I’d had when I was younger.